Watch this video to see how ConvenienceWorks by Hussmann works with you to create total convenience store solutions to maximize your sales and profits. Lancer- Pour more profits with the new Twin Pour Dispenser! Lancer introduces the new Twin Pour Dispensing Unit allowing for a smaller footprint yet offering more brands and customization! CB4- An innovative way for convenience retailers to capture lost sales! CB4 utilized predictive analytics to uncover hidden sales opportunities and recommend the execution fixes. From Data to Action to Rings! 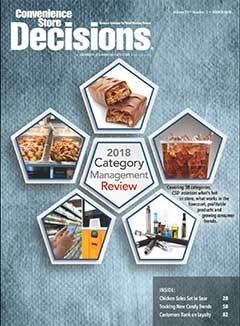 Avery Dennison highlighted their Freshmarx Intelligent C-store Food Solutions at the show this year. These solutions help retailers enhance consumer experience; improve Food Safety and overall profitability of their operations. Items featured include their Cold Brew Coffee Program, Fried Green Tomatoes Sliders, Fresh Cut Fruit, Salads and more! Come see!